Many areas saw above-normal rainfall during June. 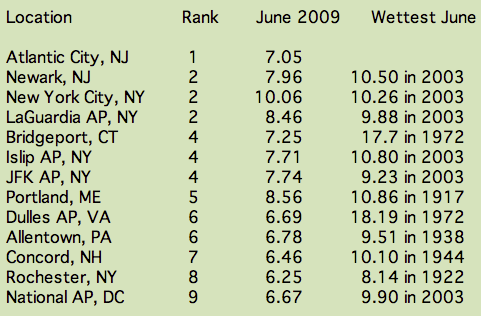 Atlantic City had its wettest June on record, surpassing the 6.99 inches that fell in June 2003. Most of the region saw above normal rainfall in June, the exceptions being West Virginia, parts of central and western Pennsylvania, and western and northern New York. Above normal rainfall is expected to continue in New England and New York during July.